“Dearest Creature: Stories of the Human-Animal Bond” is designed to be the perfect jumping off point for our debut as the L.A. area’s newest museum. The title is a tip of the hat to historical and literary icon Virginia Woolf, who was famously known for penning love letters to her human companion using that salutation. The subtitle needs no explanation. 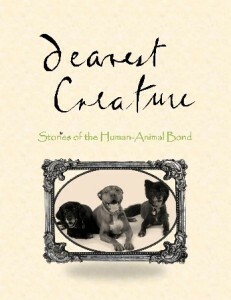 Dearest Creature will be an examination of the often-marginalized, but never doubted, fact that humans can and do form deep and meaningful relationships with all manner of (non-human) animals. We’ll examine this phenomenon through historical, scientific, literary and other perspectives. About thirty years ago, attorney Steve Wise had a viable, if not quirky, law practice in the nacent field of animal law. Around the same time, Tommy the chimpanzee was beginning his journey in life. Sold to a private collector in upstate New York, Tommy has spent most of his years confined to a cage, with only a small television for company. To Be or Not to Be tracks the series of precedent-setting lawsuits by Wise and his Nonhuman Rights Project to challenge more than a thousand years of Western legal principles. Will the court recognize Tommy – who has emotions, a sense of past and future, is capable of using tools and has the intelligence of at least a toddler – as more than his owner’s possession? Like cake and frosting, social media and cute animals were made for each other… and are just as sweet. 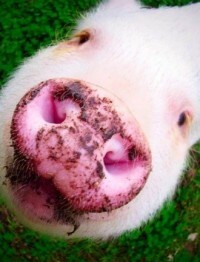 And while Wilbur may have been “Some Pig”, the porcine protagonist of beloved children’s classic Charlotte’s Web had nothing on Hamlet – pictured left – who has nearly 300,000 Instagram followers! In Social Animals, we’ll examine the whimsical, but indisputably compelling, world of animal superstars. Why is it, for example, that we can’t stop watching viral cat videos? We’ll also examine this phenomenon from the other side of the lens: what it’s like when millions of people follow your companion’s every move, the private world of friendships between celebrity animals and their owners, and the reality of how much work is involved to create the image of always having fun.